I usually try to avoid Quilt Alongs these days as I wind up with WIPs that sit for a year. (As you will see in my WIP Wednesday post.) This one caught my eye though for two reasons: 1. the block design is very cool 2. it’s a skill that I need help with learning and that is – Paper Piecing! 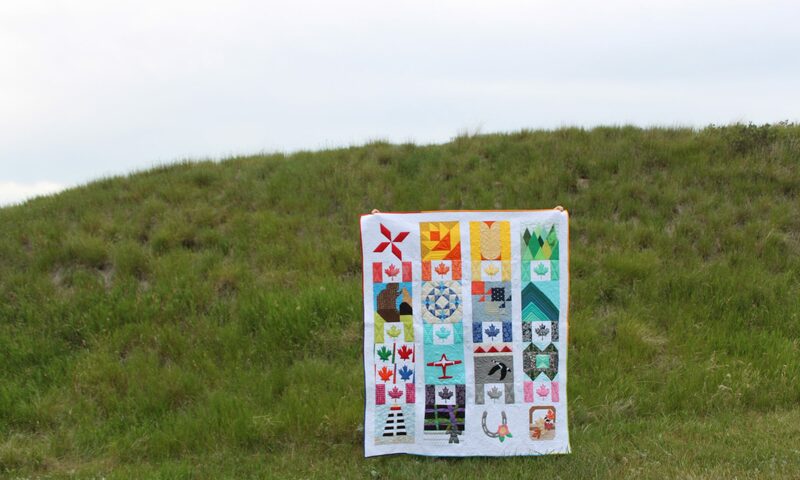 So here I am taking part in the Celestial Star Quilt Along over at From Blank Pages. Here is my colouring page. I wanted a rainbow colours quilt. I will probably sew a 24 inch wall hanging to start. I tried to convey low volume fabric in the diamonds in the white ring by colouring lightly. One thing I have already learned here is that I need more pencil crayon options. 24 colour choices is not cutting it! But I am happy with how this block looks and I plan to go with it. I just love a rainbow. Looking forward to seeing your outcome. And it's always nice to come across another Canadian! If you hate it when you're done with it, you can send it to me 😉 but I bet it will be AWESOME!! !